Cologne - With a 2-0 win at 1. FSV Mainz 05 last weekend, Pal Dardai has already made his mark as new coach of Hertha Berlin ahead of Sunday's visit of SC Freiburg to the Olympiastadion, when he can count on the supplementary services of Africa Cup of Nations winner Salomon Kalou. It may be early days in the Hungarian's tenure at the club, but the decision to part ways with Jos Luhukay and appoint Dardai appears to have provided the spark the club dearly needed to get their season back on the rails, while the return of Kalou could hardly have come at a better time as far as the Old Lady is concerned. "I'm fit and I'm ready," said the Cote d'Ivoire forward, who helped the Elephants to their second Africa Cup of Nations title last week. "I want to give it a real go at Hertha now, preferably starting with Freiburg on Saturday." The change in command could also be just what the former Chelsea FC forward needs to regain the confidence he appeared to be lacking towards the end of 2014. After hitting four goals in his first eight games in Hertha colours, he was only able to add one more to that tally in the remaining five matches of the calendar year. Dardai has complete faith in Kalou's ability, though, and like many Berlin and Bundesliga fans, the 38-year-old is hoping to see him terrorising defences between now and the end of the season. "Salomon is a fantastic player with an incredibly quick mind," he said. "He's deadly in front of goal and you've got to say the quality he possesses is something else." Having seen how Kalou was deployed by his predecessor, Dardai believes he knows where to get the best out of the Ivorian: out wide rather than down the middle, where Julian Schieber is set to retain his place. After all, it was as a wide player that Kalou enjoyed the greatest success of his club career, lifting the UEFA Champions League with Chelsea in 2012. Kalou's latest success in Equatorial Guinea this winter has come as a much-needed filip for a player who has understandably high expectations for the coming months. "I want a great second half of the season with Berlin," he told the Berliner Zeitung. "The time has come for us to show what we are capable of. The win in Mainz was important for us all. That gives us confidence for the challenges ahead." Impressing Dardai will be his first personal challenge and although he only had a few hours to do so in training on Friday, the experienced forward has done his homework on his new boss. 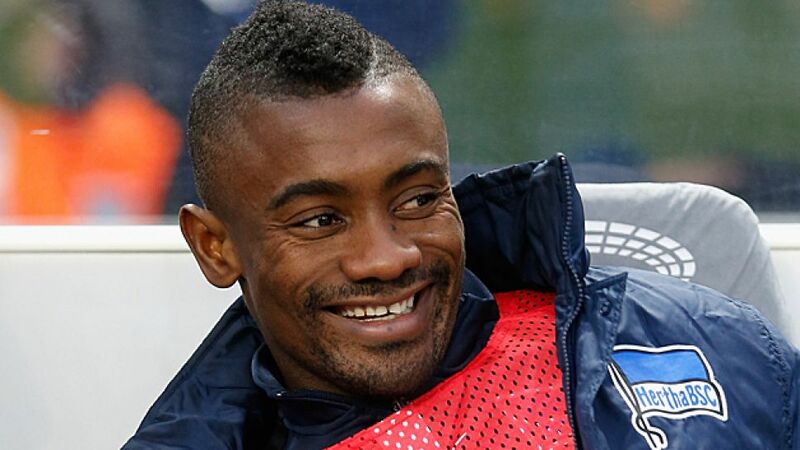 "I looked him up straight away on the internet," Kalou said. "Everybody will want to prove himself to him. Even I have a new chance to play more than I was doing before. He's going to see the eye of the tiger!"